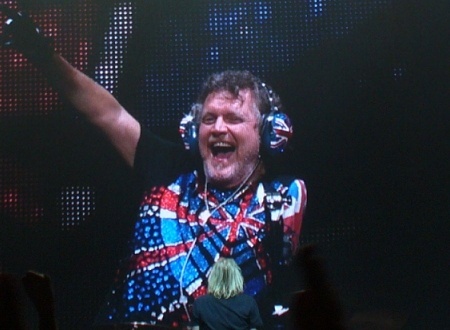 Def Leppard drummer Rick Allen was recently interviewed by Long Island radio and spoke about the upcoming Sin City Residency. 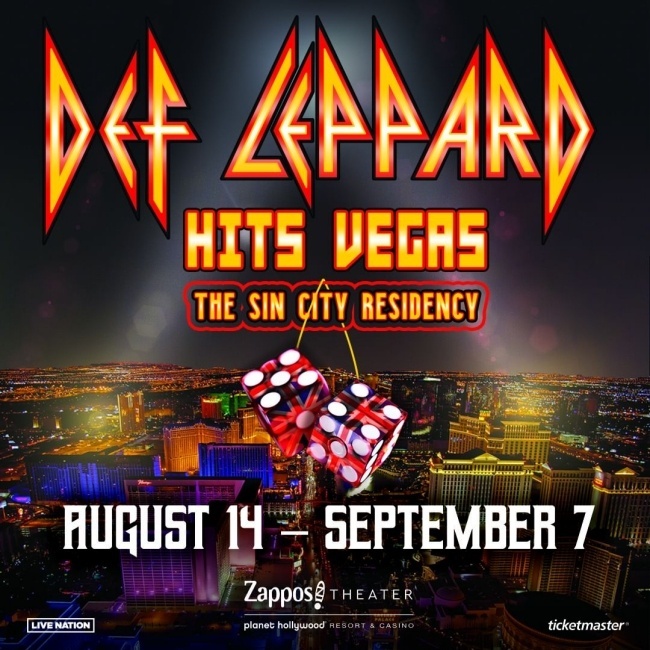 Rick spoke to Joe Rock of 102.3 WBAB to promote the Sin City Residency. Rick talked about the Sin City Residency/VIVA! 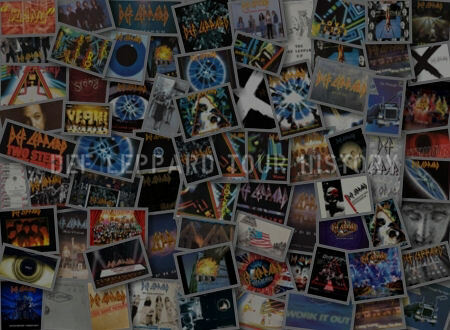 Hysteria, Ded Flatbird/Rare Songs, Lady Strange, joining Def Leppard in 1978, his artwork, Tesla, Vivian Campbell, band positivity, future plans/2019 touring and new Def Leppard Songs/Recording. He says he hopes the band will play rare songs in Las Vegas and that they continue to work on new material. "So it was nice being in one place and, you know, it was really cool and we did the whole VIVA! Hysteria. We did Hysteria from start to finish and then we did/ I mean we could basically play any songs we wanted. It was really cool." "So for me it was a fantastic way to experience Vegas. Just a different way to experience Vegas so I really enjoyed it." ".Oh wow that's a blast from the past . We haven't played that one in decades. But, you know, like Phil said it'd be nice to dig deep and just play some songs that we haven't played in years. 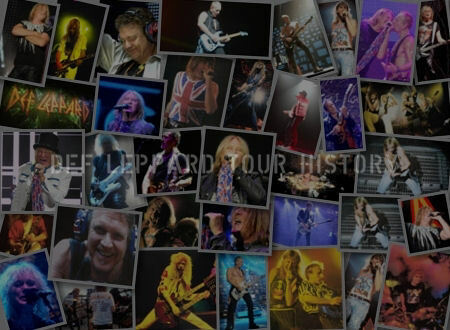 It would be really good and especially for the die hard Def Leppard fans. People that have been there from the beginning you know." "How cool is that?. It was great, you know, getting the recognition from our peers but I think the thing that really registered with us was how many fan votes we got. It was just off the scale. It was off the charts you know. And that realisation that well that's why we're doing it. That's why we're here and they're the people that put us where we are. 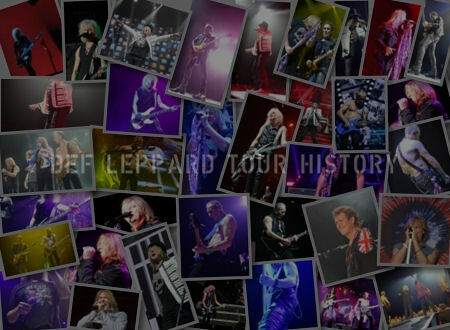 So I think the fan vote really registered with us and, you know, that's a good feeling to realise that there are so many people out there that love Def Leppard ." "Yeah I know I mean it wasn't anything to do with the fact that my mother and everybody that I know was voting multiple times." "Well we've got a European tour coming up. European festival tour which is always really cool. We get to play in front of tons and tons of people. We'll be heading back to Donington which is, you know, kind of my spiritual rebirth as it were. That's really the first major show I played after I came back after losing my arm. So it's always nice to go back to Donington." "And then we're gonna be doing a Canadian tour which is always cool. Per capita we're actually more popular in Canada than anywhere else on the planet. So we always love spending time there." "And then of course we're doing the Vegas residency." 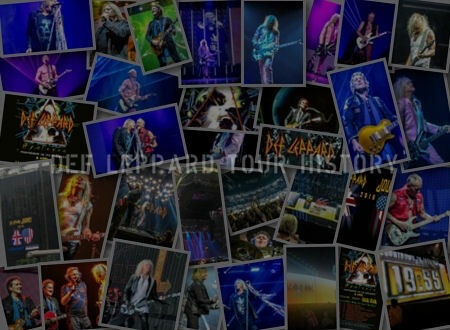 "There's always new material on the go. We always have a recording set up backstage. And I think that's one of the things that keeps everything fresh is the fact that there's always new material on the go.And, you know, I think it's good that way because if we just relied on all the hit songs it's not as much fun. It's always nice to be making new music. Moving forward you know."